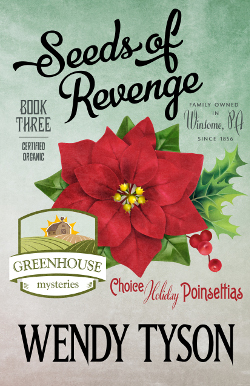 Wendy Tyson is the author of the bestselling Greenhouse Mystery series featuring former lawyer-turned-farmer Megan Sawyer, which includes the titles A Muddied Murder and Bitter Harvest; the third entry, Seeds of Revenge (available November 14, 2017), is set against the backdrop of the holiday season. Ms. Tyson also writes the Allison Campbell Mystery series and penned a standalone novel, The Seduction of Miriam Cross. 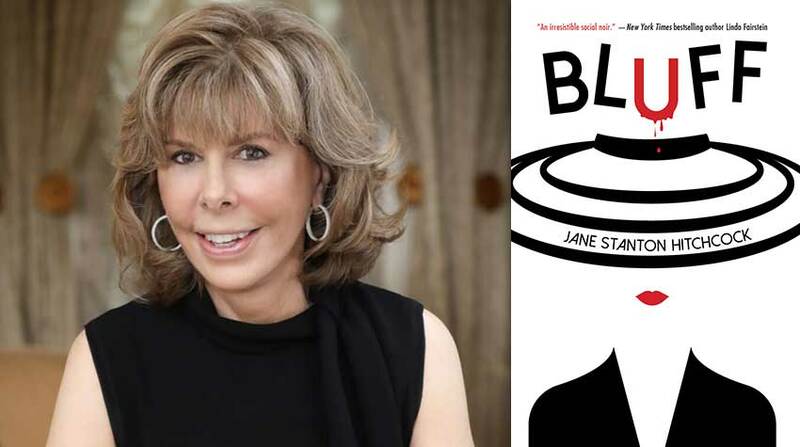 A mainstay in the crime fiction community, she serves as a columnist for The Thrill Begins and is a contributing editor for The Big Thrill, which are both International Thriller Writer Organization (ITW) online magazines. Also a lawyer and former therapist, Ms. Tyson now lives on a micro-farm with her family, the experience of which largely informs her fiction. 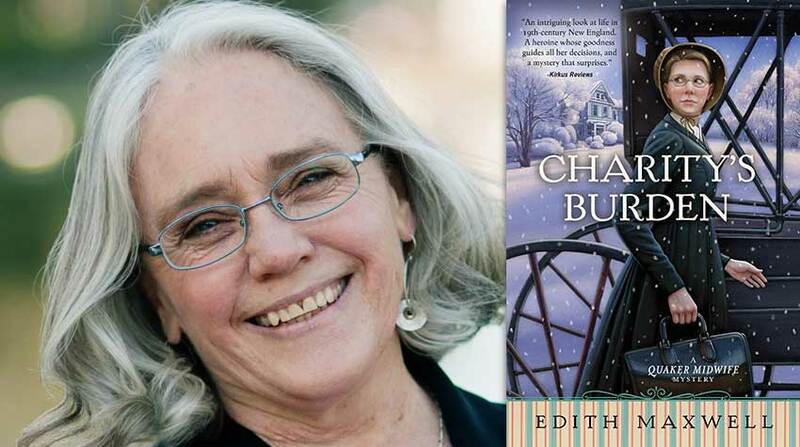 Recently, the author warmly welcomed questions pertaining to the inherent drama of the holidays, the evolution of her creative canvas, the similarities between gardening and writing, the influence of her former careers on her current endeavors, and the promise of what comes next. Seeds of Revenge takes place against the backdrop of the holiday season. In your opinion, what about this time lends itself particularly well to storytelling, and how can/does it bring out both the best and worst in people (as evidenced by your book)? The winter holidays are full of contrasts, which makes them the perfect backdrop for a murder mystery. You have festive lights and gift giving and feasts, but you also have bad weather and feelings of loss and the recognition that not everyone has plenty. You have abject materialism pitted against religious piety. You have homecomings, but with homecomings come old arguments and resentments. Emotions and expectations are heightened during the holidays, and where you have high emotion, you have drama. And, of course, good fiction is built around conflict, however subtle. I attempted to capture those contrasts in Seeds of Revenge. In Winsome—this gorgeous, historic Pennsylvania town—readers have an image of quintessential Christmas warmth and welcome. House lighting tours, carolers, holiday craft fairs. Snow blanketing the Pennsylvania countryside. Yet evil is lurking beneath the surface, and it only takes the pressure of the holidays to bring it to the forefront. This is your third Greenhouse Mystery. In what ways has your creative canvas evolved, and how do you see your secondary characters—such as Merry Chance and her niece, Becca—as revealing parts of Megan that may otherwise have remained untapped? When I started the series, I had a very specific picture of the main characters and a clear vision of Winsome, the small fictional Pennsylvania town in which they live. But these views could not remain static. In order for my readers to feel emotionally engaged with the characters and the story, Megan and company, as well as the town, need to grow. That is the challenge with a cozy mystery series—being true to the setting and its inhabitants while making sure that canvas evolves. I think there’s an unspoken contract between reader and writer with a mystery series. The reader will suspend disbelief to a point (there can only be so many murders in Cabot Cove, after all, before house prices plummet and the town is not so idyllic), but the writer will remain true to her or his characters’ humanity in the face of what would be life-changing crimes. In real life, people react to the obstacles and challenges placed in front of them. They either learn from these experiences and grow, or the experiences somehow impact their worldview. Like their real-world counterparts, believable fictional characters will grow and change over the course of each book—and over the course of the series. Megan makes choices, and her choices impact outcomes. Sometimes things do simply happen to her or to people she cares about where she has no real control, and then she must react—and she will learn based on these experiences. Likewise, the town of Winsome, which is in effect a character in the series, must change and evolve as it absorbs each tragedy. In Seeds of Revenge, Merry Chance and Becca are catalysts for Megan’s growth. Megan has known Merry much of her life, but she needs to decide whether to trust her—and whether to get involved in order to vindicate Merry’s niece, Becca. Suddenly, Megan is confronted with the knowledge that this family that seemed so upright, so perfect, has secrets, and investigating the murder and delving into the lives of these neighbors forces Megan to confront her own preconceptions about people and about justice. 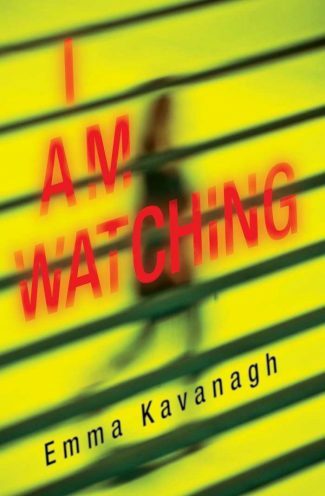 This novel is a bit meta in the sense that it features a mystery novelist whose plots implicate her in a murder. What’s the fun of this, both for reader and writer? Are there any specific authors or books that you’ve found yourself paying homage to? So much fun! Megan’s Aunt Sarah is a famous mystery writer living semi-incognito in Winsome. She’s eccentric and rather abrupt, and although she solves mysteries in her fiction, she’s often reticent to get involved when mysterious things are happening right under her nose. I enjoy looking at the happenings through the lens of someone who makes these things up for a living. 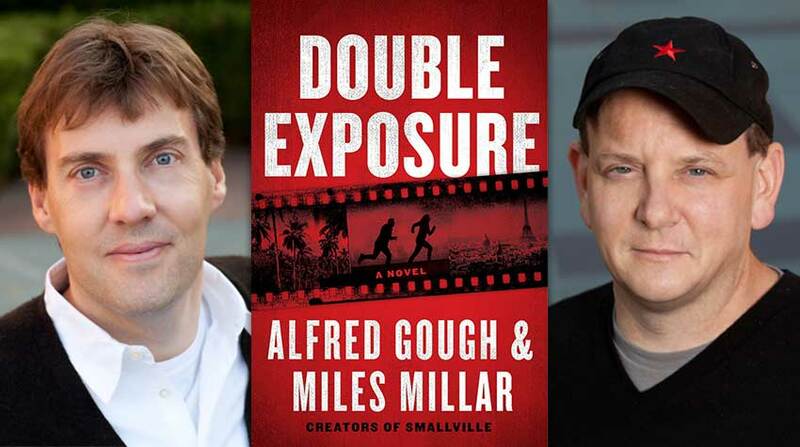 I suppose readers may enjoy that too, or perhaps they like getting a glimpse of a fictional famous author acting like a regular person—even if it’s an imaginary behind-the-scenes look. Despite her bravado and fictional investigative expertise, Sarah’s vulnerabilities come through in Seeds of Revenge. As far as paying homage to certain authors in my writing, Dr. “Denver” Finn, the veterinarian love interest in the Greenhouse series, is my homage to James Herriot. I grew up on Herriot’s books, devoured them all (still have them), and I wanted to be a veterinarian for many of my younger years. Herriot’s work had a lasting impact on me, not only on my writing but on how I view animals and the world of agriculture. Like your protagonist, you are an avid organic gardener and an advocate for sustainable living. Do you find that these pursuits, though inherently different, share certain characteristics with the craft of writing? If so, what are those elements, and how can indulging one passion help to foster another? I do think there’s overlap between gardening and the craft of writing. For one, both demand patience—and in the end, you have to put in your time if you want a good product. As a gardener, you plant the seeds, you water them, you make sure the conditions are right, you weed, and you wait. If you’re diligent, you’ll be rewarded with more vegetables than you can consume. Sometimes, the bounty during the first few years is minimal. You’re still learning, and the soil is not as rich and nutrient-dense as it will eventually be. Gardening, in some ways, is an act of faith. But if you practice, take the time to learn, and have patience, it will eventually pay off. Writing is similar. To write well, you must first learn the craft of storytelling, and you really can’t learn that without practice. You write that first draft, you revise it, and you revise it some more. Over time, you learn to read your own work critically and make adjustments. Some days the words won’t come, but with coaxing and patience, they’ll eventually flow. There really are no shortcuts. Another analogous element is the art of composting. When gardening, we make compost by taking raw materials—clippings from the yard, vegetable-based food scraps, coffee grounds, etc.—and placing them in a pile in the yard. This pile is turned over occasionally. It’s not a fast or pretty process, but the end result is a rich soil additive that the plants love. As authors, we take raw materials—impressions, memories, ideas, bits of information, interactions we’ve witnessed between people—and we let them ferment in our minds. When we finally put pen to paper, we pull from these scraps, and the “composted” mind material enriches our work. From this heap come the elements that help us create complex characters, lend realism to dialogue, and allow us to connect with readers. That is the challenge with a cozy mystery series—being true to the setting and its inhabitants while making sure that canvas evolves. Aside from these things, gardening informs my writing. After all, I write a series about organic farming, so the realistic details I’ve learned from my husband (he’s an amazing gardener and the real expert) and by working the land give my books authenticity. You have an impressive background in law and therapy. In what ways do those disciplines inform your plots and character development? Also, how do you endeavor to balance a sense of authenticity with creative license? I spent a number of years while in my twenties working with teens in a residential treatment facility while attending graduate school for counseling. I was young enough to be curious about people and open to learning, but I also carried the arrogance of youth and believed I could change the world, one child at a time. I saw the worst people had to offer, but I also witnessed firsthand the resiliency of the human spirit. These experiences changed me; they left an indelible impression on my own psyche, one that I’ve explored thematically again and again in my books and short stories. I think a fundamental understanding of psychology is the basis for good fiction. Readers engage with characters they can relate to; understanding human psychology helps a writer to create believable characters whose actions and thoughts will resonate. That said, people do strange things—murder, for instance. Sometimes I simply have to make things up. In addition to the writing itself, you are an active member of the mystery community. In what ways has this benefited your career as a novelist, and is there any advice you’d give to new(er) authors looking for opportunities to network? Community matters. When I first started writing, I wrote in a vacuum. No conferences, no industry groups, very few connections to the writing community. It wasn’t until after my first book was published that I realized how important networking is and how much I missed by not cultivating those connections. Aside from the camaraderie—which alone is important—when you’re part of the mystery community, you have a readymade network of writers who will help you with promotions, endorsements, and even collaborative projects. Since that first release, I’ve become a member of International Thriller Writers, an organization that’s very good to its volunteers. I went through ITW’s debut program, later became a debut coordinator, and now I’m a contributing editor and columnist for The Big Thrill and The Thrill Begins, ITW’s online magazines. I’m also a member of Sisters in Crime and Penn Writers, and I regularly attend several mystery conferences each year. I tell new and aspiring authors to network early. Don’t worry if you haven’t yet been published; it’s better to begin building your community before your first book comes out. Attend conferences. Look for local writers’ organizations. Join industry groups—and become involved. Find other authors on social media. And donate your time as an author, whether it’s to a charity, an industry group, a collaborative project, or by fundraising. Giving back is a great way to meet others and build goodwill. Leave us with a teaser: What comes next? The fourth Greenhouse mystery, Rooted in Deceit, comes out September 4, 2018, and I’m developing the storyline for the fifth book in that series now. In addition, I’m honored to have a story (“Soap”) in a fantastic new fiction anthology, Betrayed, which was released on October 16. Betrayed is the brainchild of Pam Stack from Authors on Air and features a novella from Allison Brennan and stories from some of today's bestselling crime authors. Every author has donated her/his time and fiction, and profits from Betrayed are being donated to programs and organizations that help victims of domestic violence reclaim their lives. I also have a story coming out in another fiction anthology, The Night of the Flood, on March 5, 2018. This anthology is sort of a novel in short stories, and a majority of the authors are my fellow Murderers’ Row columnists for ITW’s online magazine, The Thrill Begins. An incredibly fun project. Wendy Tyson’s background in law and psychology has provided inspiration for her mysteries and thrillers. Originally from the Philadelphia area, Wendy has returned to her roots and lives there again on a micro-farm with her husband, three sons, and three dogs. Wendy’s short fiction has appeared in literary journals, and she’s a contributing editor and columnist for The Big Thrill and The Thrill Begins, International Thriller Writers’ online magazines. Wendy is the author of the Allison Campbell Mystery series and the Greenhouse Mystery series.